More home sellers take their homes off the market in November, thinking buyers have gone shopping for presents instead of for homes. The roller coaster pattern you see in the chart with inventory and sales is typical of most years. The supply of homes for sale tends to drop off as winter comes to Seattle. The number of homes sold in November also dropped from previous months, but there was still a healthy number of real estate sales on Seattle's eastside. Almost half of the homes for sale, 46%, sold in November. 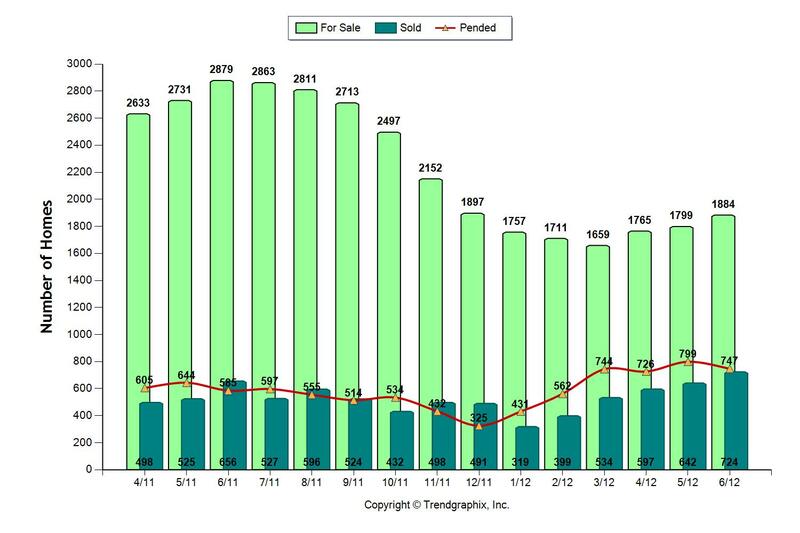 Median pricing for November sales was $555,000. Median pricing has remained above $550,000 since April of this year. Homes sold in about 5 weeks, which is a short sales time. Homes were not selling within a matter of days as we saw in the spring, but a 5 week time frame is probably a healthier time period for the market. It means the market is still fast and strong, but not as frenetic. But back to the roller coaster pattern you see in the chart above. Since the number of homes for sale is so low, and probably will continue to be in December, if you're thinking of making a move in 2014, think about it early in the year. Inventory in January should continue this trend and be very low, but creeping up as the month progresses. Competition will be less because of this lack of supply, increasing the chances for a quick sale and a strong price. 46.5% of the available homes sold this past November, 41.5% sold in November, 2012. 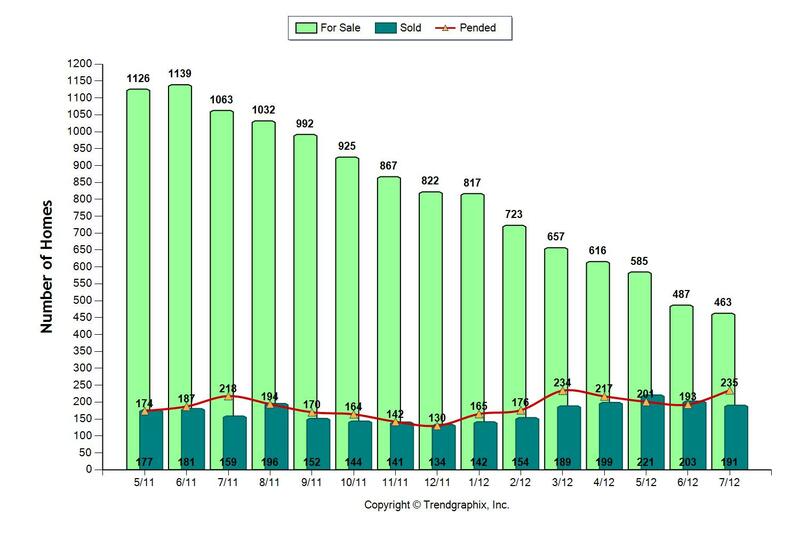 Homes sold in 43 days, down from 67 days in October, 2012. In 2012 median pricing in November was $525,000. In 2013, November's median pricing was $555,000. If you'd like to know more about the value of your home or are thinking about a move, please don't hesitate to contact us. Enjoy your holidays and have a Happy New Year! Seattle Eastside Real Estate in October, 2012? Fabulous! 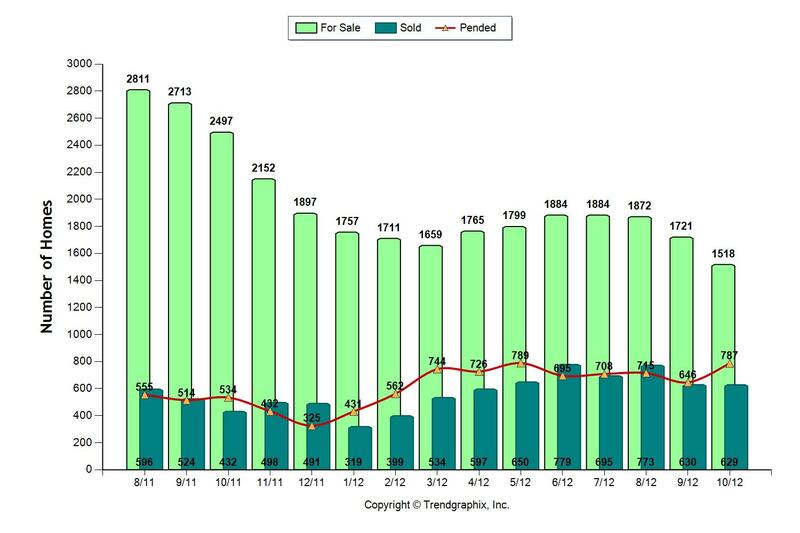 How did this past October's Seattle eastside real estate compare to October of 2011? Can you say FABULOUS! This October was a fabulous real estate market in every way, fewer homes for sale, more sales, shorter market times, and a clear trend of increasing home values. 51% of the available homes sold this past October, 21% sold in October, 2011. Over half the homes on the market sold! 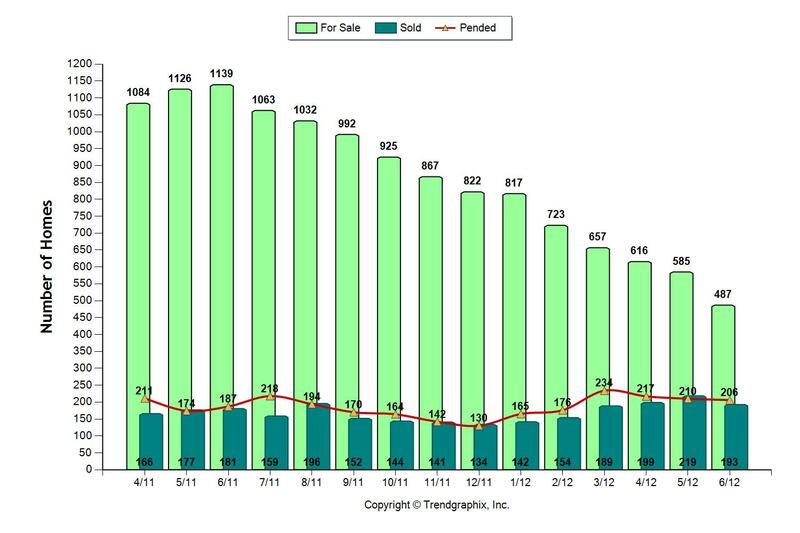 Homes sold in 62 days, which is down from 97 days in October, 2011. Homes are selling fast! Last year median pricing in September was at $469,000. This year, median pricing was $515,000. Homes sold within 4% of the original asking price. Yes, by a whopping 47%! Yes, they've continued to increase. Median pricing for the Seattle eastside has been $500,000 and above every month since May of this year, which clearly indicate a strong trend. How does all this information impact you, if you're a seller? This is the best time to sell your home in 5 years! Know how quickly homes in your area are selling. If your home is on the market for longer than the competition, your home is overpriced. If you have a lot of showings and your home does not sell, it's overpriced. If you have very few showings, then your home is overpriced. Since there are so few homes on the market, if your home is priced right and shows well, it will sell. If it's not, then it will sit there. In this market your home should be selling, if not, then look at your asking price. Even though there is not a lot for sale, buyers will still not overpay for a house. Prepare yourself and become familiar with what you can buy for the money in your favorite locations. Take your time to do this. When you're comfortable with what's available, then it's easy to make a quick decision when the right house comes up. Expect multiple offers, if the house is a good one. Be prepared with a preapproval letter to accompany your offer. If it's a well priced home that shows beautifully, expect it to sell quickly and for close to, if not, full price. The Seattle-Eastside Condo Market is Amazing! Our amazing Seattle-Eastside real estate continues! How low can the supply of eastside condos go? 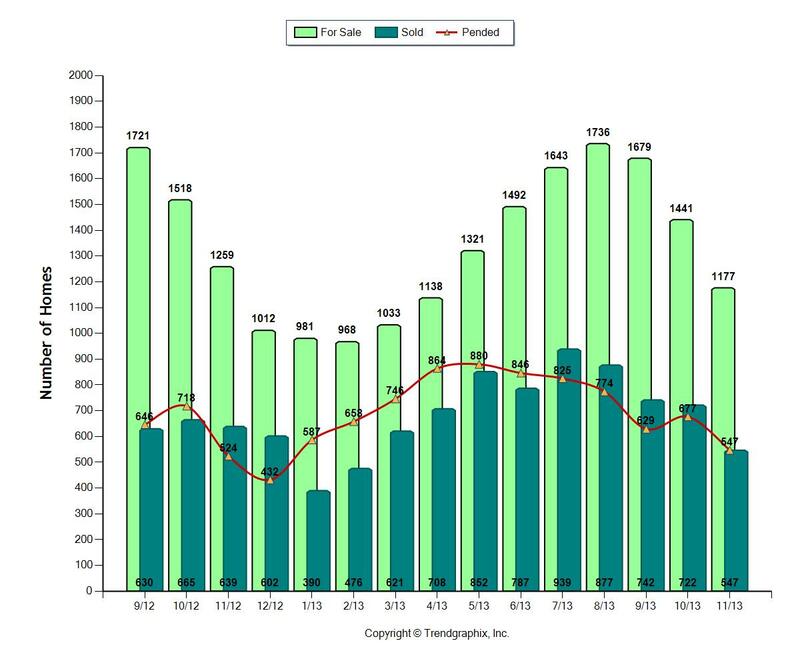 In July there were only 463 condos for sale all over the Eastside, less than half the number of condos for sale in July of 2011! The supply is low and the prices have dropped considerably over the last few years as evidenced by the chart below. These market conditions bode well for buyers. Prices are at the bottom and with the low supply, they should begin rising. Unfortunately for the sellers who bought from 2007 on, it's still a tough market as pricing is well below the high experienced during that time. Not only was the supply at the lowest I can remember, the number of sales were at the high so far for the year. There were 463 condos for sale and 236 of them sold! I've been in real estate on Seattle's eastside for 25 years and I've never seen anything like the lack of supply in the market we're experiencing now. In previous reports I mentioned if the supply of condos stayed on the low side, to expect the positive market to continue in Bellevue, Kirkland, Redmond, and the other cities east of Seattle. This was how the real estate market performed in July. The chart beow shows the trend in pricing from 2008-2012 for condo sales on the eastside. Each blue bar represents a month during the years that are represented below. The red line that is drawn across each year shows where the median point is in pricing for the year.In 2008, the median pricing for condo sales on the eastside was $337,064. 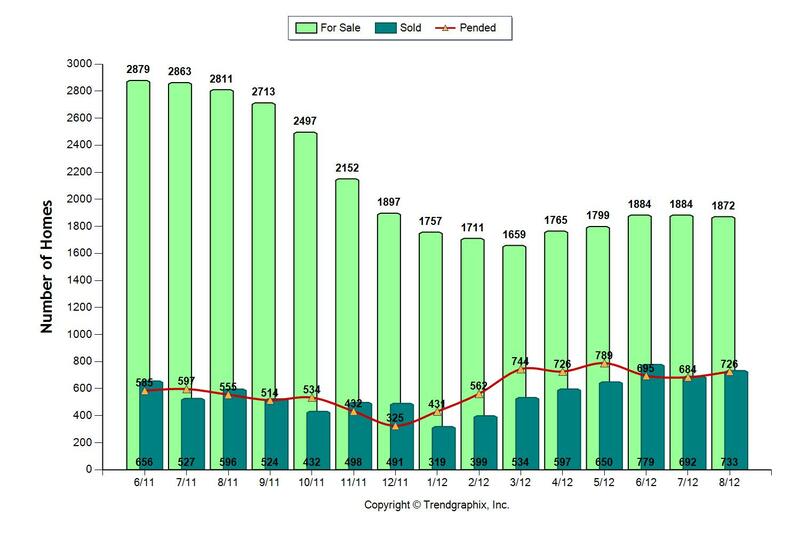 So far this year, the median pricing for sales is at $221,631. If you look at 2012, pricing has jumped up for the last two months, but on average, it's still lower than previous years. Time on the market has also dropped to an average of 90 days to sell vs.109 days in June of 2011. If you have any questions about the condo market, please feel free to contact us. How hot was the Seattle Eastside real estate market in June? In May I mentioned the market stats over the next few months would dictate whether Seattle-eastside real estate will remain a hot seller's market. In May I asked the following questions about Seattle eastside real estate. Now I'm asking those same questions about June's real estate market. How did the real estate market do in June? Did the number of homes for sale increase? Yes, by 85 homes, which is not a huge increase, but an increase just the same. Did the number of buyers decrease? Sales decreased by 52 homes, which, truthfully, is not a big decline. Did prices continue to increase? Yes, they have continued to increase, but only slightly. The Seattle Times stated that prices increased by 10% from June, 2011 to June, 2012. Truthfully, prices have not increased by 10% on Seattle's Eastside, which encompasses the cities of Bellevue, Redmond, Kirkland, Issaquah, Woodinville, Sammamish. If that were the case we would be heading towards a market similar to what existed before the market crash. We really aren't seeing that right now. Prices have gone up, but on the eastside it really closer to a 2% increase from last year. Remember, to get an accurate read on price increases or decreases, it's important to track the prices over the year. With a 40% chance of getting a home sold in June, Seattle eastside home sellers had great odds of getting their home sold. The odds have dropped slightly over the last few months from March's high. But since March, the odds of selling a home on the eastside have been consistently over 40%. How did this past June compare to June of 2011? 40% of the available homes sold this past June, 20% sold in June, 2011. Homes sold in 70 days, which is down from 94 days in June, 2011. Median pricing remained almost the same. Last year median pricing was at $514,000. This year, median pricing was $513,000. 10% more homes sold this year. All these statistics point to the positive. Homes are selling in a shorter amount of time, with less of a price reduction and prices have stayed fairly stable when compared to June of 2011. Were June Condo Sales on Seattle’s Eastside Still Hot? What an amazing condo market on Seattle's Eastside! Since June of 2011, the number of condos for sale has continued to drop, and drop by alot. Last June there were 1139 condos for sale and this June there are less than 500! What a huge difference! 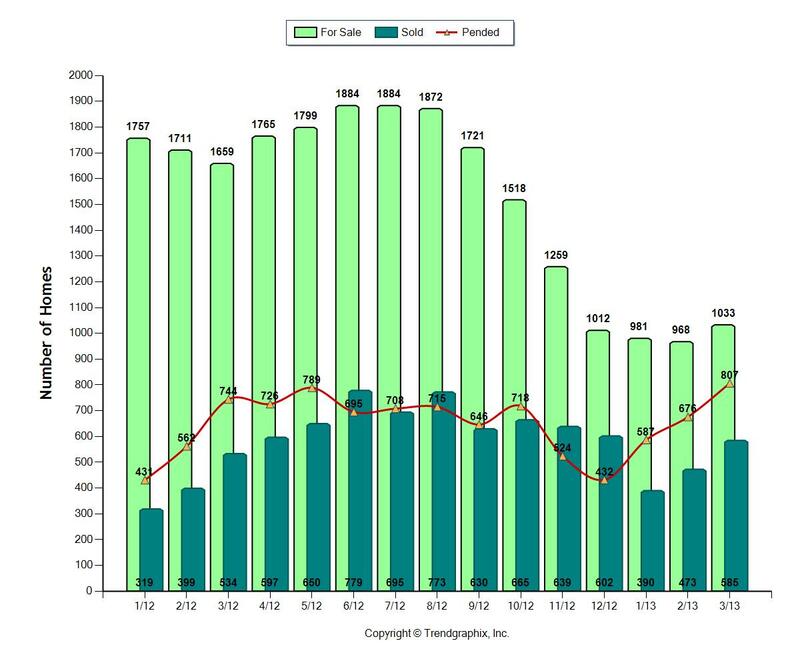 Not only are there fewer condos for sale, but the sales have been very strong, especially since February. The condo market has been even stronger over the past two months. Approximately 42% of the available condos sold in June. If the supply of condos stays on the low side, expect this positive market to continue in Bellevue, Kirkland, Redmond, and the other cities east of Seattle. Median pricing was $235,000 this past month, whereas last year the median pricing for the month stood at $250,000. Don't worry too much about pricing for one month's worth of sales. As we always say, you must follow the trend over a period of months to measure any true increases or decreases in value. One month's real estate prices are only a reflection of the sales that happened that particular month. Time on the market has also dropped to an average of 90 days to sell vs. 118 days in June of 2011. So get our there and find a great home, but do your homework before getting in the car to look at properties. Check out the commute, the neighborhood, schools and anything else that is of importance to you before you start looking for a home. If you do that, you can target the right location to look for a home. You can then look for a home that works for you in a the right location. Remember location, location, location is the primary rule of real estate. In today's world, location can mean many different things to people based on job location, commutes, and area amenities. Determine what it means to you and then go for the condos in that particular location. With a 46% chance of getting a home sold in May, home sellers in Bellevue, Kirkland, Redmond and other eastside cities had great odds of getting their home sold. We saw a slight uptick in the number of homes for sale, but that did not change the fast paced nature of the market. When almost half of the homes for sale are selling, a few more listings doesn't make that much difference. But if many more listing come on the market will that change the balance of the market between buyers and sellers? Time will tell, but historically when the demand outstrips the supply, we have a fast paced sellers market. If the supply increases, the competition between listings could heat up and we could have a good market, but not as fast paced. The market would be more balanced between buyers and sellers. The market balance in the upcoming months will hinge on the supply of available homes and the number of buyers. The market is great, but 54% of the homes did not sell. One of the necessary elements necessary for a quick, well priced sale was more than likely missing for many of these homes. The homes that did not sell may have needed to be better priced or have sharper photos, smart staging and/or marketing. These homes may not have gotten the attention from the savvy buyers if one of the key elements for a successful sale was missing. They focused on those homes that are well priced and show well. How did this past May compare to May of 2011? 46% of the available homes sold this past May, 24% sold in May, 2012. Homes sold in 58 days, which is down from 76 days in May, 2012. Median pricing remained the same at $500,000. This is very good news! Homes sold within 96% of the original asking price. Last year homes sold within 92% of the asking price. The market stats over the next few months will dictate whether Seattle-eastside real estate will remain a hot seller's market. Will the number of listings increase? Will the number of buyers decrease? Will prices continue to increase slightly? Stayed tuned to to see how our eastside real estate market turns out! Check in with us next month.